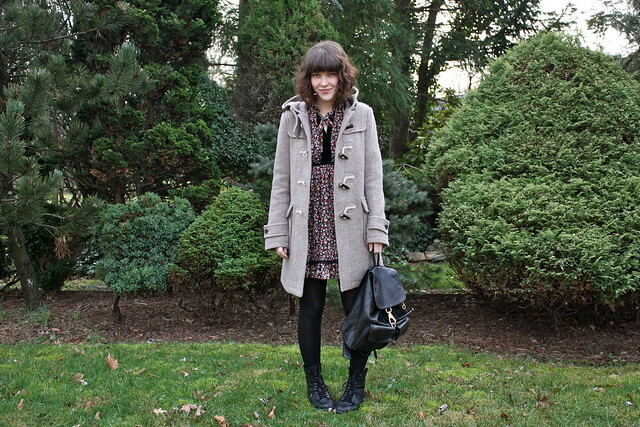 My favorite outfit of 2011. I know that because I always want to wear it! 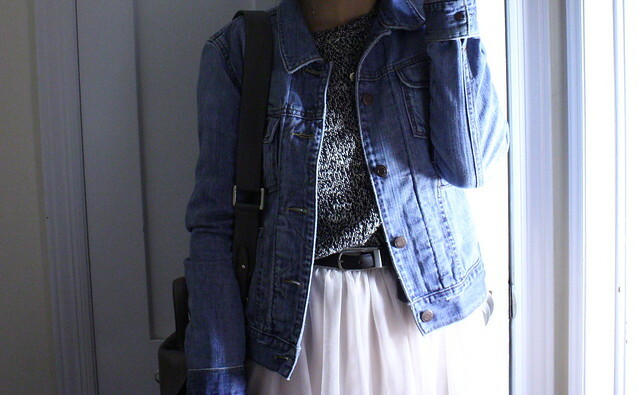 Everything in this outfit was bought secondhand, and the shirt is from the swap! Chilly weather finally arrived, and with it a new winter coat! So that was my year in style. There has been some good and some bad. 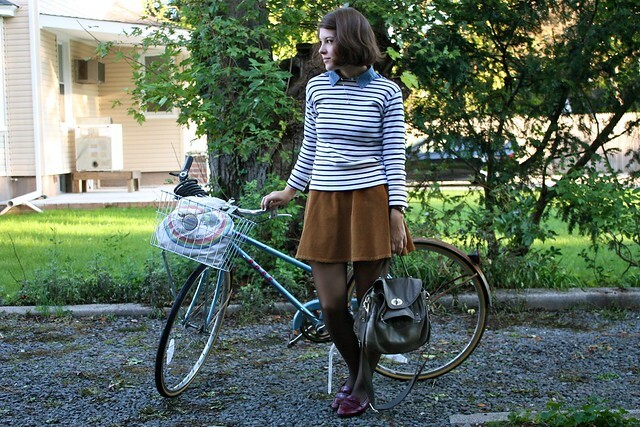 My style drifts between the 60's and the 90's and will likely continue down that road in 2012. Last year my resolution was to get better at accessorizing, but I'm not sure it really happened, but there's always next year! That vintage dress in the first photo is one of the best creations I've ever seen. A work of art. 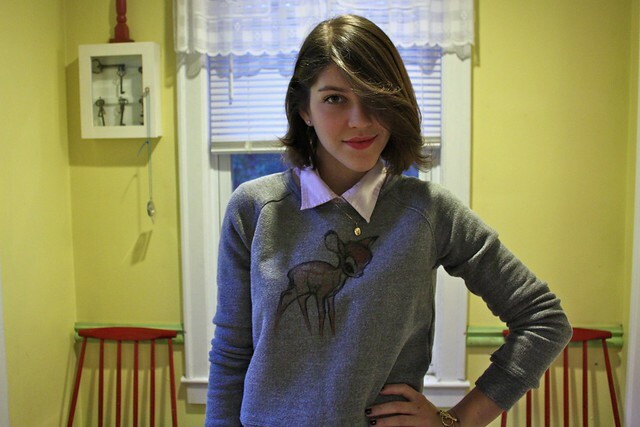 The bambi sweatshirt, perhaps because of its kitschy appeal, is nice, too. That first dress is just perfect. I love your sense of style. you're first dress is so unique. definitely never seen anything like it before. i like your outfit in the 3rd picture. HAPPY HOLIDAYS!Come and enter!In Love With Fashion Giveaway. the first dress has me swooooooning! Thse posts are great and that red skirt is to die for. Your fave outfit is probably my fave outfit as well. Very effortless yet perfect, the sort of balance we all hope to achieve!